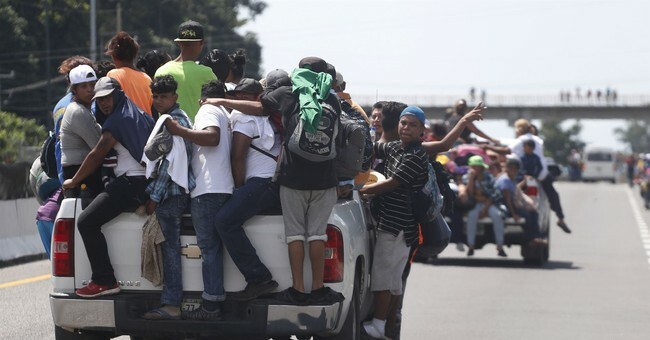 Since last Friday, a caravan of approximately 4,000 illegal aliens from Honduras and other Central American countries swelled to 7,000 as it makes its way north. Organizers of the caravan vow to make it to the United States one way or another. Last week President Trump threatened to deploy the U.S. Military to the southern border if the Mexican government couldn't prevent it from traveling further. He also threatened to shut down the border completely and cut aid to countries aiding the caravan. Monday morning, he got one step closer to official deployment. In recent weeks, President Trump has made illegal immigration a central issue on the campaign trail.